A tropical wave is likely to result in the British Virgin Islands experiencing showers and thunderstorms tonight into tomorrow (September 30), said the Department of Disaster Management (DDM). “Today and tonight, expect mostly cloudy skies with periods of scattered showers along with widespread light rain. Some showers could be moderate to heavy at times, accompanied by isolated thunderstorms,” added the DDM, which noted that it gathers the information it disseminates from a number of professional sources. The agency further stated that winds are moving east-south-east at 19 to 30 kilometre per hour, or 10 to 16 knots, with higher gusts during showers. Seas will be moderate to locally rough, and swells 4 to 7 feet are forecast. “Small craft operators and sea bathers should continue to exercise caution,” added the DDM, which said atmospheric pressure is just below normal. 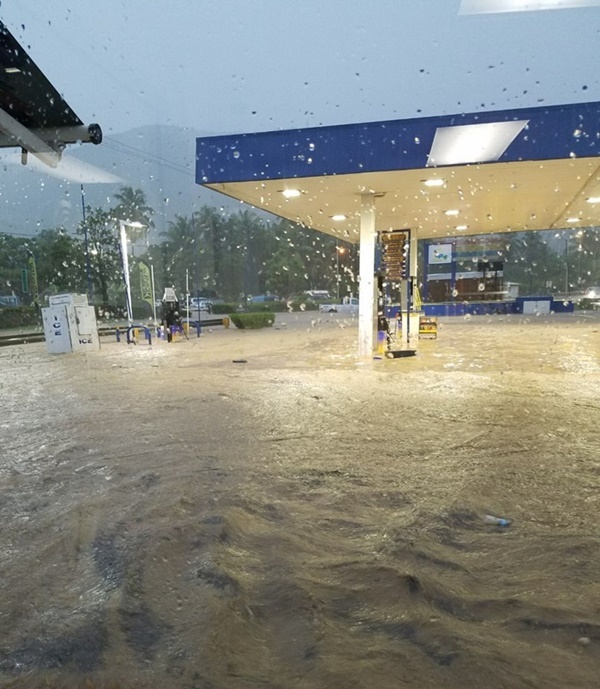 Nearly two month ago, a tropical wave caused widespread flooding, landslides, and infrastructure damage in the British Virgin Islands. It was followed by two category five hurricanes – Irma and then Maria, which caused a level of damage never yet recorded in the territory.